Here’s the skinny on pizza. Pizza doesn’t exactly spring to mind as a better-for-you food choice — but there’s no reason it shouldn’t. 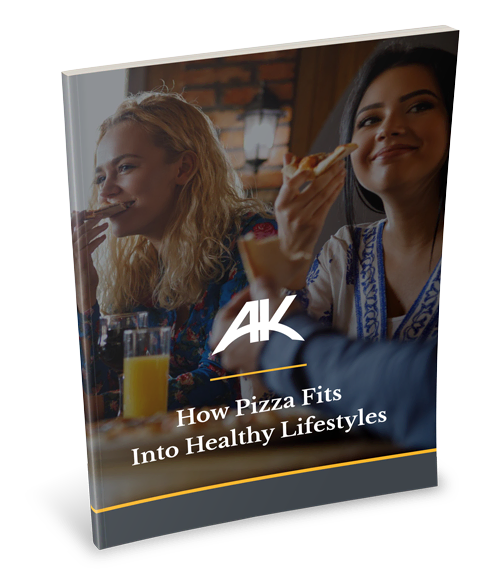 Our How Pizza Fits Into Healthy Lifestyles Nutrition Guide gives you pointers on how to prepare and portion pies so your customers can enjoy pizza that’s not topped with guilt. The guide even provides suggestions for positioning sides and salads as entrees for dieters choosing to dine with their pizza-eating friends, sales boosters for calorie cutters, and more! Fill out the form to get your copy of this valuable resource now!